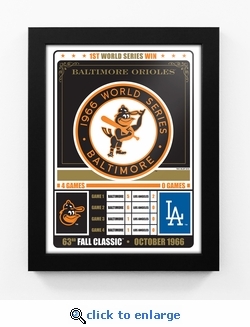 This vintage designed print commemorates the Baltimore Orioles capturing their 1st World Series Championship in 1966. 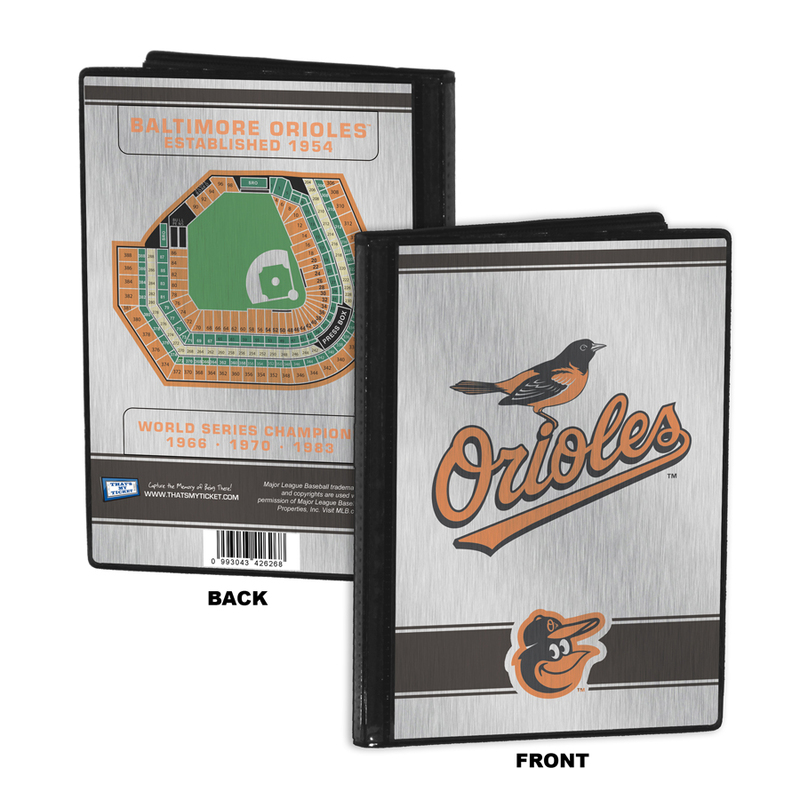 It features historic logos along with the scores of each game played in the series. Framed in a 1-inch wide black wood moulding. Ready to hang. Overall size: 14 x 18 x 3/4. Officially licensed by MLB.